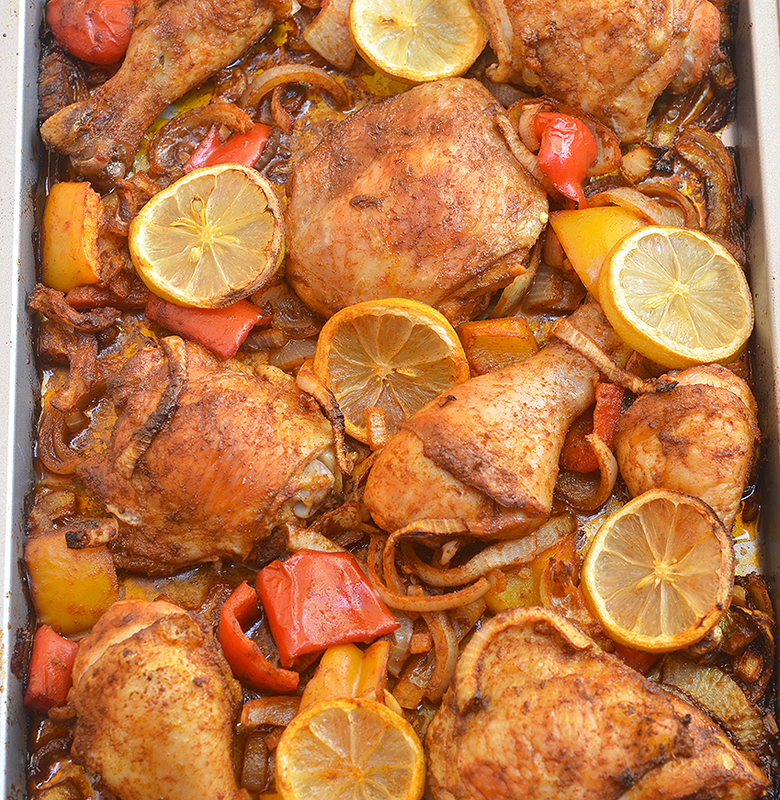 Roasted Chicken with Sweet Onions is an easy weeknight dinner meal the whole family will love! This Peruvian-style chicken is moist, juicy and loaded with big flavors! Looking for a dinner meal that’s light on prep but big on flavors? 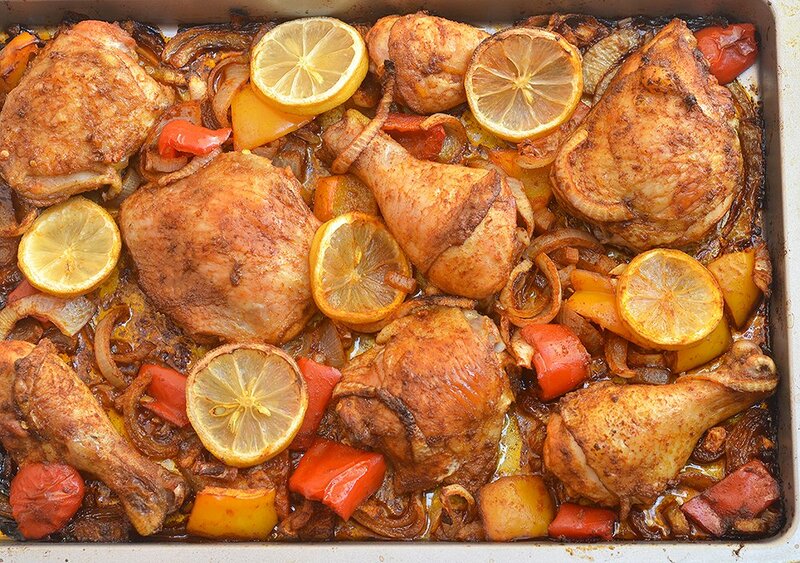 Roasted chicken with sweet onions got you covered! 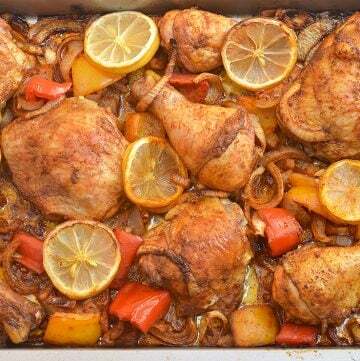 A robust seasoning of paprika, cumin, garlic, white wine vinegar plus a medley of sweet onions, bell peppers and lemon comes together in amazing flavors that will surely rock your taste buds. With less than 10 minutes of prep time, this Peruvian-syle roasted chicken is perfect for busy weeknights. All you have to do is toss the ingredients together, layer them on a baking sheet, top with lemon, and then roast in the oven to golden perfection. It’s such a quick and easy meal, you won’t believe how juicy and tasty the chicken turns out! Those caramelized bits of sweet onions and that glorious pan juices? A whole new level of yum! There’s definitely no shortage of flavor here, my friends. Grab a huge chunk of crusty bread and sop it all up! 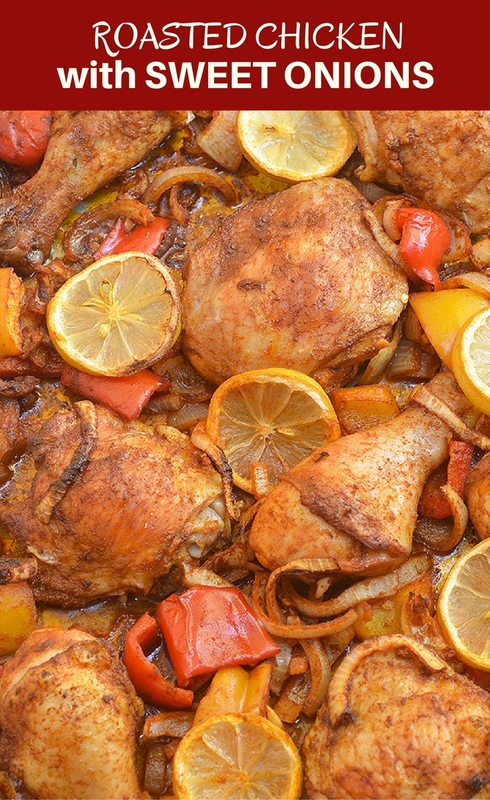 Roasted Chicken with Sweet Onions delivers big, bold flavors without the work! 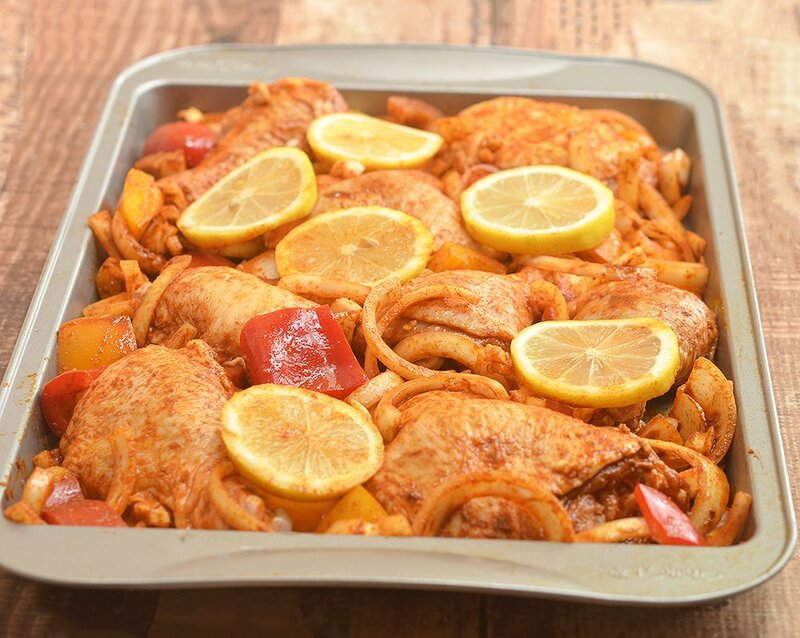 Loaded with sweet onions, lemon, bell peppers, and spices, it's sure to be a family favorite!